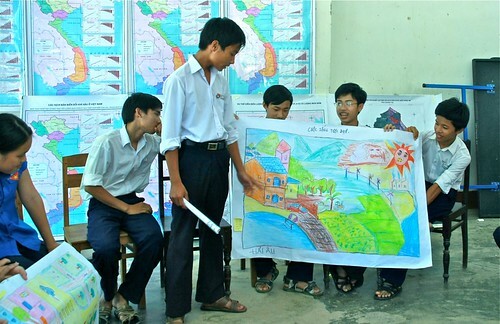 The Climate change Working Group in Vietnam (CCWG) established in early 2008 brings together INGOs, Vietnamese NGOs, development agencies and other professionals who contribute to reducing the vulnerability of poor people in Vietnam to the impacts of climate change through NGO coordination, advocacy and capacity building for environmentally and economically sustainable and socially just responses to climate change. They meet regularly to exchange ideas and to discuss 'lessons learned' on how to improve their capacity in climate change response. 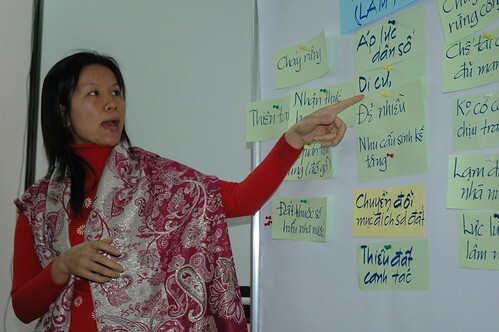 CCWG is coordinated by a core group of representatives from INGOs and Vietnamese NGOs. 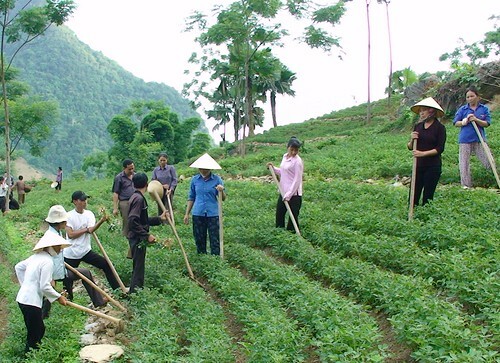 In addition, CCWG maintains three thematic groups: climate change Adaptation, Climate Change Awareness and Behaviour Change and Climate Change Mitigation. Thematic groups meet separately to exchange relevant information, ideas and provide updates to the core group. CCWG functions under the auspices of the VUFO-NGO Resource Centre. The current chair of CCWG is Oxfam in Vietnam.